As I go through Lent this year, I'm really trying to get some perspective on how amazing God's love for us is. In my First Lenten Perspective, I spent time trying to come to grips with the sacrifice that Jesus made for us. This week, I'm trying to wrap my mind around God's sacrifice. As I was listening to the first reading this Sunday (Genesis 22), I was moved by Abraham. This passage always redefines what faith means to me. 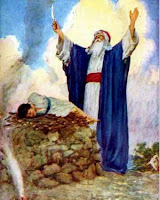 Abraham was ready and willing to sacrifice Isaac, his only son, because God had asked him to. I'm sure this was not an easy decision for Abraham, and I'm sure the writers of Genesis left out most of his agonizing and pain. But can you imagine the pit in Abraham's stomach when Issac looked up to him and asked where the lamb was for the offering? It's gut-wrenching. Yet, Abraham was ready to do it because he loved God above all else. If we are moved by Abraham, then surely we should be moved even more by God's sacrifice. For starters, no one stopped the killing of Jesus. This was no test. It was the real thing. Second, we are told Abraham took out his knife to kill his son. I'm not an expert here, but my guess is that that sacrifice would have been a lot quicker than the brutal one Jesus went through. Imagine watching your son, daughter, or even loved one go through what Jesus went through. God had to watch every painful moment. Lastly - and this is a big one - while Abraham was going to sacrifice his son for God, God sacrificed His Son for all of us sinners. He sacrificed Him for those that love him and for those that defy him. 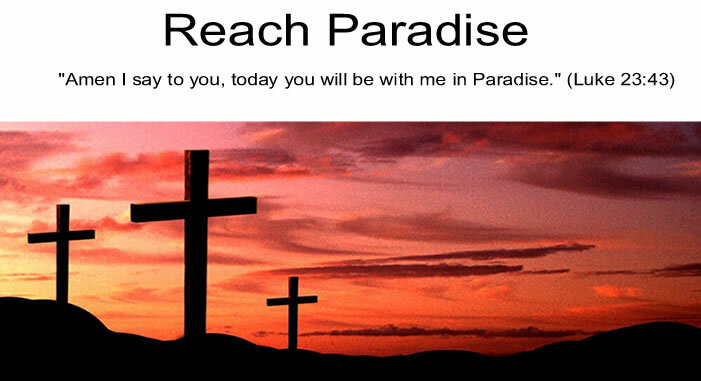 In my first Lenten reflection I tried to imagine dying for someone I disliked. Trying to sacrifice a child or loved one for that same person is not any easier! In any case, the point of my post is certainly not to criticize Abraham - his faith is unimaginable. My point is to try and understand how great God's love is. Yet, as hard as I try, it is still beyond my comprehension. Thank you, Lord, for loving me so much that you gave up your only Son. What a good reflective post you have written. Your really bringing out great perspectives from the bible and the Sunday readings. I think you would be a great participant for a bible study group. Keep up the good work. Thank you for the very nice comments. I am truly honored that you both enjoy the posts! Abraham also believed that God would raise Abraham's son...because He had promised that through Isaac, Abraham's line would be established. What if Jesus Lived One More Year?